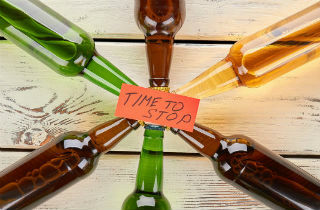 Why are alcohol problems so prevalent in the U.S.? A look into the factors that drive people to drink…and how addiction treatment can help. You’ve most likely heard about the opioid epidemic in the United States, with overdoses reaching unprecedented levels. People are turning to heroin to manage addictions that started with prescription painkillers, and an influx of dangerous and powerful synthetic chemicals are making their way into the black-market drug trade. President Trump has declared the crisis to be a national emergency. With all the headlines the opioid crisis has spawned in the last few years, it would be understandable to think that opioids and other powerful prescription drugs are overtaking alcohol as the most commonly abused – and more importantly the most treated – substances. However, Enterhealth, a Dallas-based alcohol and drug addiction treatment company, wants people to realize that in fact alcohol is still the most abused primary substance of choice for its patients and the most commonly treated substance in its clinical settings. While the number of people abusing prescription medications is higher than it has ever been before, the number of people who are abusing alcohol has remained mostly unchanged. According to recent data from the National Survey on Drug Use and Health (NSDUH) and the Treatment Episode Data Set (TEDS), alcohol addiction is the number one (approx. 23%) reported cause of admission to treatment programs, with the combination of alcohol plus another drug in close second (approx. 18%). Marijuana and heroin make up the bulk of the remainder (approx. 17 and 14% respectively), with substances such as crack cocaine, stimulants and other drugs rounding out the list. Admissions data from Enterhealth also confirms that alcohol is still the number one substance people are seeking treatment for in both its residential facility and outpatient center. The average age of people seeking treatment for alcohol addiction is actually fractured into two sets: young adults and older adults. With younger adults, the average age of those in treatment is 25-30. For older adults, the average age is 50-63 years old. Why is Alcohol Addiction So Common? According to the National Institute on Alcohol Abuse and Alcoholism (NIAAA), an estimated 16 million (approx. 6%) people in the United States can be diagnosed with Alcohol Use Disorder (AUD). This is a chronic relapsing brain disease characterized by compulsive alcohol use, loss of control over alcohol intake and a negative emotional state when not using. Research indicates that alcohol use during the teenage years can interfere with normal adolescent brain development and increase the risk of developing alcohol and drug addictions later in life. In addition, underage drinking contributes to a range of acute consequences including injury, physical and sexual assault and even death. The availability of alcohol is obvious. It is ubiquitous at almost every kind of gathering imaginable, used for celebrations, commiserations, religious ceremonies and more. It can be purchased easily almost anywhere and doesn’t cost very much. The age restriction on alcohol is well-intended and goes a long way toward preventing children and young adults from gaining access to it, but all too often it can be taken from a parent’s refrigerator or liquor cabinet. Societal acceptance is the most difficult aspect of alcohol consumption to correct, as alcohol has been a part of human society for literally thousands of years. Attempts at regulation and making alcohol illegal have met with failure a number of times (think prohibition). The best thing that we can do is work to educate people – especially young people – about the dangers of short and long-term alcohol abuse and encourage those already suffering from alcoholism to seek help. There are other reasons people turn to alcohol, of course. On the positive side, alcohol has been used as a social lubricant in various cultures for eons, as it can reduce anxiety and lessen depression, thus making people more amiable. On the negative side, many people also use alcohol to self-medicate mental and behavioral problems, with a great number of them not realizing they even have these underlying disorders. People also need to realize that susceptibility to drug and alcohol abuse is genetic. More than 40% of the time, a person who seeks treatment for alcohol dependency has a family member with a similar problem. Addiction is a chronic medical disease of the brain, and while it can be controlled, it’s important to recognize that it cannot be cured, at least at this point. If you or your loved one is concerned that you might have a drinking problem, the first step to answering that question is to seek an expert’s advice in the field of addiction. Learn more about how Enterhealth is using science-based treatments to achieve better outcomes for patients. Click here to visit our website or call 1.800.388.4601 day or night to learn more. About the Author: Dr. Joshua M. Masino, PsyD, Director of Neuropsychological Services: Joshua Masino, a neuropsychologist specializing in injury and rehabilitation to the central nervous system and brain, is director of Neurological Services. Masino has more than 15 years of experience in clinical neuropsychology and rehabilitation research and psychology. Prior to joining Enterhealth, he held director roles at the Florida Neurorehabilitation Center in Pensacola, Florida, and at the Georgia Neurorehabilitation Center in Alpharetta, Georgia. He also served as an adjunct professor in the Department of Psychology at Argosy University in Atlanta. Masino has presented on topics pertaining to cognitive impairments and neuropsychology in both multiple sclerosis and traumatic brain injury. He is a member of the American Psychological Association, Division 40 and the National Academy of Neuropsychology. He earned a bachelor’s in psychology from the University of South Alabama and his master’s and doctorate in clinical psychology, with a neuropsychology focus, from the Georgia School of Professional Psychology. He completed his internship and fellowship at Mount Sinai Medical Center in New York. He is a licensed as psychologist in Texas and New York.